SpiderTech applications provide the continuous care necessary to reduce discomfort and swelling. They help restore strength to an injured area and can improve the mobility where range of motion has been restricted. SpiderTech™ applications work by naturally stimulating your body’s own pain relief and healing mechanisms. 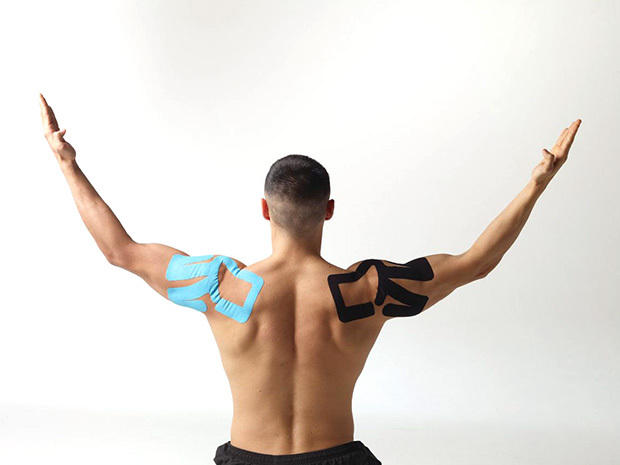 The stimulation caused by the tape on your skin reduces inflammation and discomfort associated with injuries and allows your body to recover faster. SpiderTech™ complements and is used in conjunction with other treatments Dr. Lopez provides. The applications provide the necessary “treatment between treatments” that some individuals require in order to stay active. With so many SpiderTech™ designs and application options, many patients can benefit from SpiderTech™. Applications can be used for: improved athletic performance, muscle, joint and ligament strains, swelling and sprains, post-op recovery, arthritis and bursitis, carpal tunnel syndrome, disc injuries, shin splints, rotator cuff injures, edema, plantar fasciitis, tennis elbow and much more.